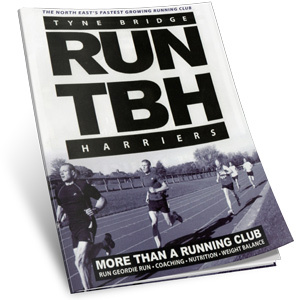 Tyne Bridge Harriers are (as far as we know) the first Running Club to have their own magazine. It will be published 3 times a year & distributed throughout the North East. This issue also contains some fantastic money saving vouchers from both Sweatshop (£5.00 off Voucher) & Start Fitness (25% off all More Mile items).